The new caches in South and Mid Cheshire have been sat right at the top of our closest to home not found page for way too long now, so we decided today was the day to sort that out. First off, we started with our caching friends, cannonedwards’ new caches just to the west of Newcastle under Lyme. The first one was in some woods we’ve been to before for a now archived cache. A nice quick find. Then it was a short drive to their other two new caches, which were in some woods we’d not been to, not far from the M6. The woods were alive with snowdrops, bluebells and wild garlic and looked stunning. I picked some wild garlic to use in cooking later in the day – can’t wait! The next cache was very eventful but for all the wrong reasons. It was called Soggy Bottom UK and that’s exactly what I got – a soggy bottom, as I slipped when crossing a brook and ended up in the brook up to my waist. I had to do the rest of the caches stinking and damp. It was a nice cache, made all the more ‘fun’ by my own stupidity. A short drive around Nantwich (followed by Cheshire’s Finest for a short way – thank goodness for cruise control so I did not get stopped for going too fast!) 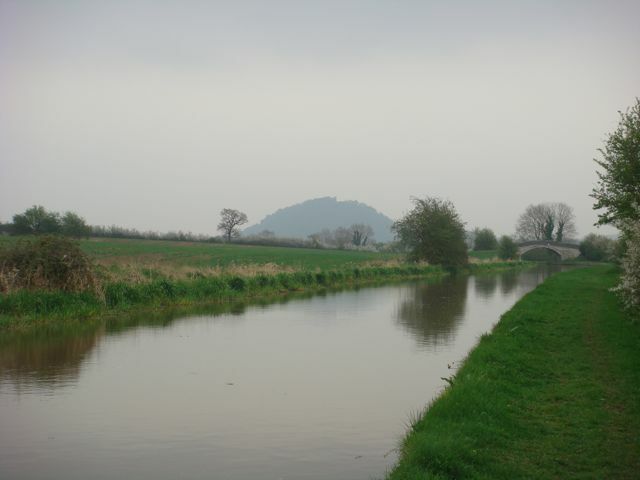 brought me to the Shropshire Union Canal (‘Shroppie’) and the majority of the other caches for the day. These were all set by the narrowboaters. Not a lot to say about them apart from some nice locations and great views, especially the ones in the Beeston Castle area. I did the first two by foot, but then got my bike out for the 4 caches near Beeston. The last one was especially nice as there was an unexpected waterfall right by GZ! Just time for one more quick cache in Tarporley before heading home and getting on with the work I’m supposed to be doing today. A short walk up a lovely green lane and a really fun cache that has a little extra twist when you open it :-). 12 finds for the short trip out.